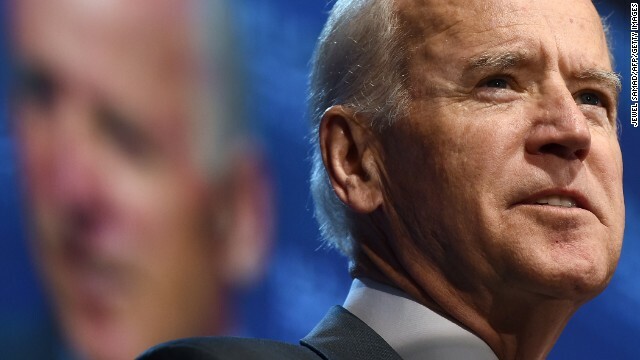 (CNN) - Vice President Joe Biden laid the interests of the United States, and the world, alongside the success of African countries in a pledge to support regions of the continent where he says democracy is threatened. In the first big event of African Leaders Summit held in Washington D.C., Biden’s audience was made up of members of African non-profits and dignitaries gathered for a “Civil Society Forum.” He praised their courage in fighting for democracy in countries where activism is sometimes very dangerous. For Biden, that means giving women the opportunities to be heard and wield power where in the past they have not. Biden also described what he sees as the foundations of a successful democratic society – one that is guided by the will of the people. He described how corruption in government, court systems and law enforcement can thwart a genuine democracy and tasked his audience with rooting it out. “It’s a cancer in Africa as well as around the world. Widespread corruption is an affront to the dignity of its people, and a direct threat to each of your nations’ stability,” said Biden. The Vice President used his own government as an example of how to defeat corruption – he described how the U.S. appoints permanent officials called Inspector Generals tasked with checking on the affairs of government organizations and investigating allegations of corruption. “In your hands, with your help, Africa can and will go so much further. You’re the fastest growing economies in the world and quite frankly the success of the rest of the world depends on part on your success,” said Biden in closing. It is truly hilarious to see Biden talking about government corruption when the corrupt and lawless administration he belongs to and helps lead has used the IRS (and several other agencies & depts.) to target political opponents, used the CIA to target Congressional overseers, used the NSA to spy on every American, used the Justice Dept. to attack states wanting our immigration laws enforced. Biden should be working to clean up the messes in the Obama administration before giving advice to others. It would be a good idea to learn to work together in ridding the continent of radical governments. Democratic governments usually don't try to do mean or harmful things to you, except of course when Republicans are charge. Please USA, solve your own problems first. Look where Bush lead this world in. War and Islamic terror everywhere. America has made this world less safe and Obama is not capable to fix it while congres and senate are divided all the time. House Majority Whip just wasted oodles of taxpayer dollars on a political stunt of sending every single congressperson a copy of the Bible with a note telling them he hoped it would help them with their decision-making blah blah something something "God's Word." Let's see how long it takes for CNN to never report on this wasteful, theocratic political stunt....*blink*...oops you missed it. Africa has lots of natural resources to exploit i think we should keep up with Chinas efforts to do so . John Adams made a point of swearing in on a Book of Laws instead of the Bible to make a point that this is a country of laws, not a country based on any one religion. Modern right-wingers have re-written history on this subject. Say NO to any attempts at Theocracy! And in the comedy/farce department, we have the words of Tommy G, that once again prove that, in his world view, corruption was invented by the Obama administration and will cease the day he leaves office, because the wonderful, virtuous GOP that has been bought and paid for on a scale unprecedented in history, will somehow use their magic decoder rings and get rid of it all. So, Chris..E.Al, you want us to be the new colonial power in Africa? I certainly hope those in Congress from Catholic, Buddhist, Mormon, and atheist philosophies will immediately send around books of their choice too. That should really help even more! It's going so well in Libya, Iraq, Afghanistan and Syria. Let's get the rest of the continent at war as well. What a doofus. The Marxist dictatorship regime of Obama, pretends to be a democracy? Thats right! Until Bush came into office, there were No terrorists and NO wars! It all happened because of Bush! Korea, Viet-Nam, heck even BOTH World Wars are because of Bush! @ exploit means to make use of something and employ and build on . "I certainly hope those in Congress from Catholic, Buddhist, Mormon, and atheist philosophies will immediately send around books of their choice too. That should really help even more!" I think the consensus was to just respond politely with a thank you and then ignore his silliness. He was likely, at least in part, trying to bait Dems into saying something negative about it so he and the rest of the GOP/Teatroll "war on Xmas" crowd could point at what was said and say "see? Krischun Nashun something something Krischuns are under attack and they're trying to take our religious freedom blah blah yackity shmackity and oh yeah, this is obviously all because they're pro-muslim and hate Israel." "@ snifft your right it dont do any good for dems to swear on the bible when they take office ? So why now ? 4lols"
Yawn. Apparently also does no good for GOPers/Teatrolls to go to read it and go to church every week while falsely claiming to follow what it says. "It's going so well in Libya, Iraq, Afghanistan and Syria. Let's get the rest of the continent at war as well. What a doofus. I'll give you one guess what's wrong with what you just said. @Tommy G – It is truly hilarious to see Biden talking about government corruption when the corrupt and lawless administration he belongs to and helps lead has used the IRS (and several other agencies & depts.) to target political opponents, used the CIA to target Congressional overseers, used the NSA to spy on every American, used the Justice Dept. to attack states wanting our immigration laws enforced. What's REALLY hilarious is the number of gullible low-information posters who have been brainwashed by rw media. – IRS targeting.. disproven as them simply doing their job based on the request volumes by conservative orgs trying to hide their donors. Issa refuses to give Lerner immunity.. and nothing found in 48,000 emails provided. – NSA has been spying on you ever since their inception.. it didn't start Jan '09.. but you never knew that!. – CIA targeting Congressional overseers.. is again nothing new. You never knew that either.. been happening for some time. – DOJ filed lawsuit against AZ enforcing their own version of Immigration Law since doing so violated states agreements with the Federal Govt and also violated the 4th Amendment (profiling). I love how the goobers stand behind the Constitution until it provides for something they don't like, then out comes the fingerpointing at the administration. The dumbing down of the fox-electorate continues with alacrity!! I avoid political discussion with most folks I know since I live in a red state. The ones I work with are mostly highly-intelligent and lean to the independent/liberal viewpoint. However, those I know who are staunch GOP I have asked why they vote Republican. The general response is because they believe in smaller govt and less taxes. So I ask them for examples of when that has happened... and .... splutter, put, put.. They grind to a halt since they have never actually done any of that at the State and Federal level. The other common point is in their utter dislike for the POTUS and VP.